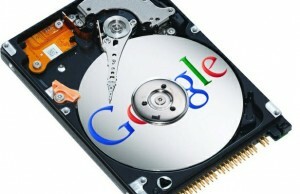 Google is testing a new search engine which is faster, more relevant and accurate than the current search engine. Since the launch of Bing this year, it was always been a talk that Bing is going to grab some of the market share of Google and again the real time search from twitter is another threat for Google as well. Google team is aware of these things and based on that they have something in their mind. Again it is going to be a very basic change in Google’s current search engine. A search engine should be faster, results should be relevant to the search term and keyword and that should be accurate. Search engine should index the WebPages available on internet really fast so that it can fight with the real time search provider like Twitter. By keeping these things in mind, Google is looking forward to launch a new search engine project named “Google Caffeine”. Current Google Search took 0.24 seconds to provide the result for “Internet Techies” however Google Caffeine took only 0.08 seconds for the same hit. This way you can see that the latest Google search engine “Google Caffeine” is much much faster than the current Google Search. Number of indexed pages thru which the search bot goes to throw the search result is higher in case of Latest Google Search Engine. I tried with the term “New York” on both the search engines and got the below results. For a single term like “New York”, the number of pages indexed on Google server is nearly 200 million more than the current Google Search Engine. Google Caffeine is really ahead in each and every aspect than current Google Search. We have already seen that speed is mostly double in case of Caffeine and it has also indexed more pages than current Google search. You can try Google Caffeine Search yourself and see the difference between both of them.